Bed & Breakfast ‘De Hulst’ is a rural farm at the south-east of Izegem. The farm arose in 1850. 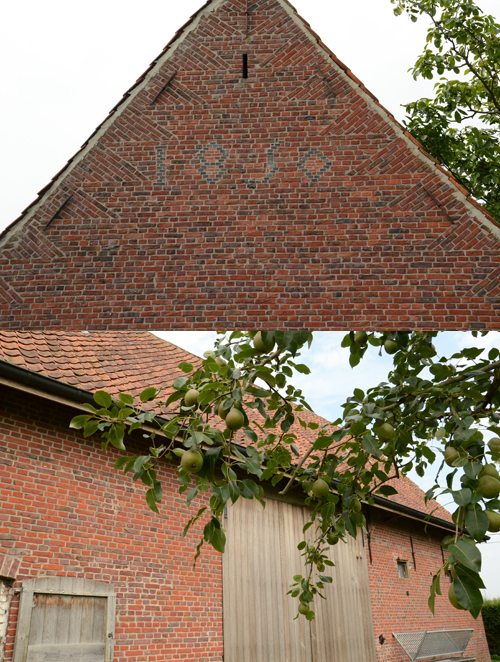 This is written in ‘old-Flemish’ on the frontage of the barn. Reportedly there was a horse-trade with Canadians, Englishmen and Americans. This all happened during World War I & World War II. The barn still has two authentic horse-stables.